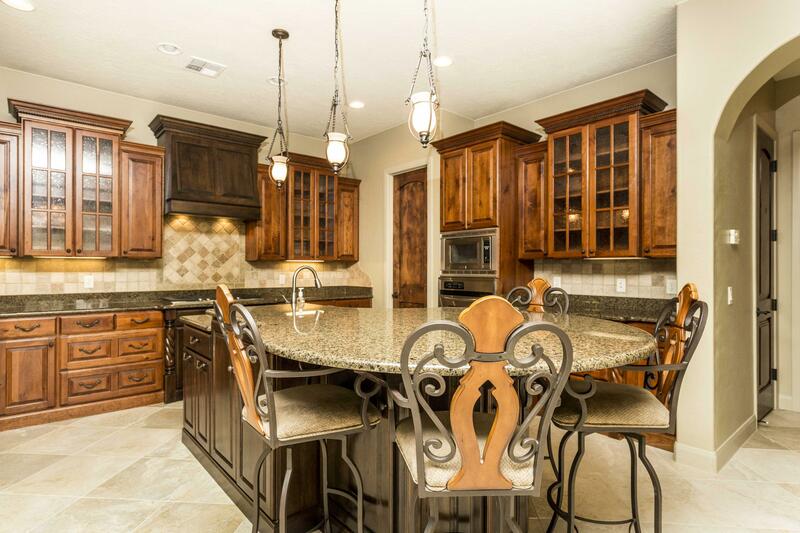 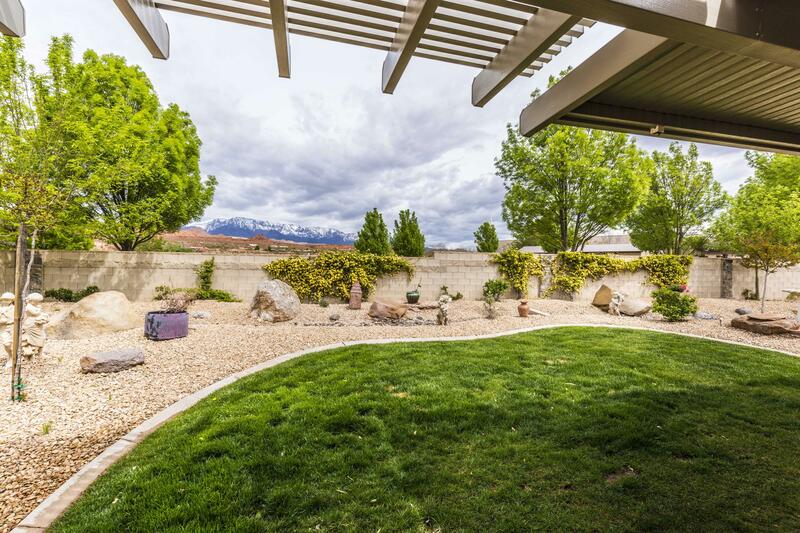 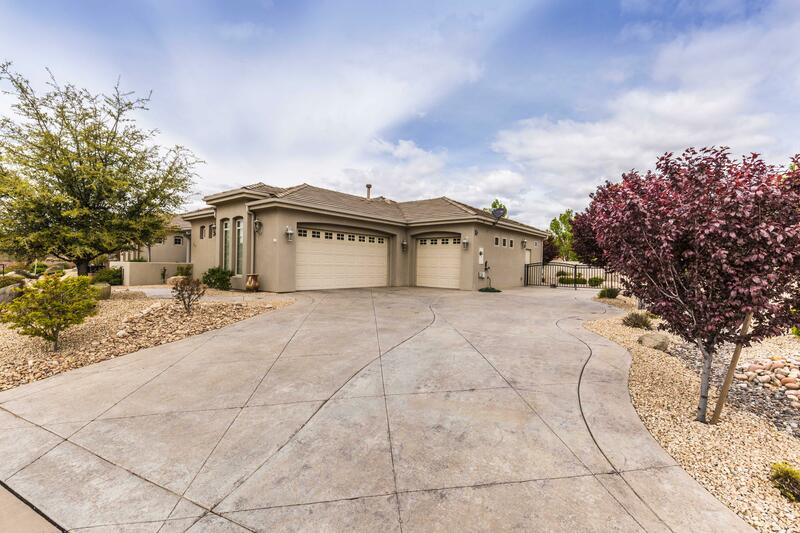 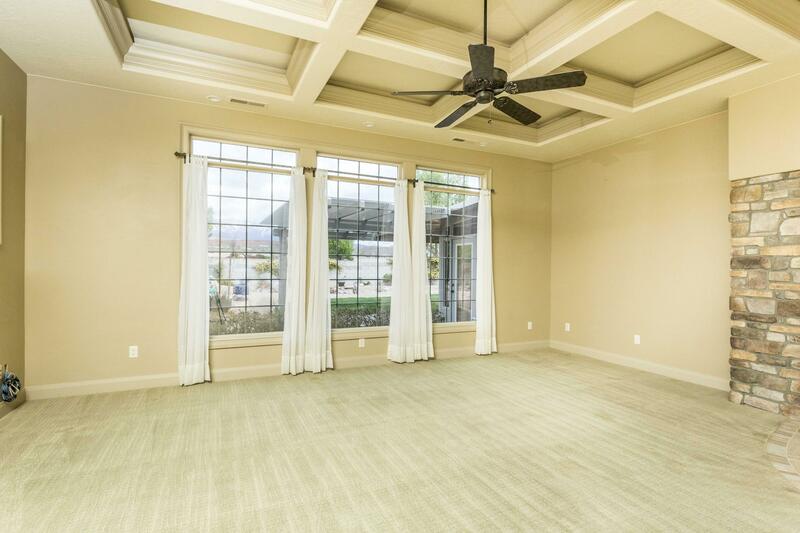 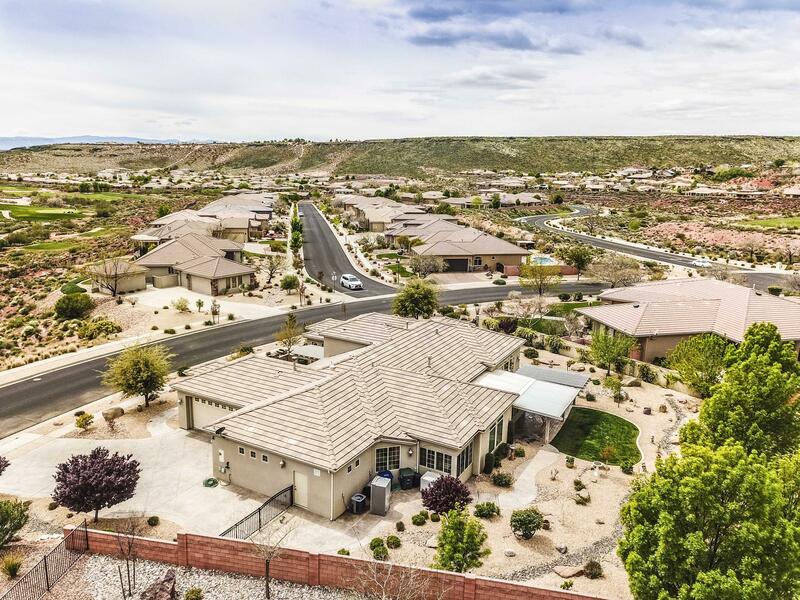 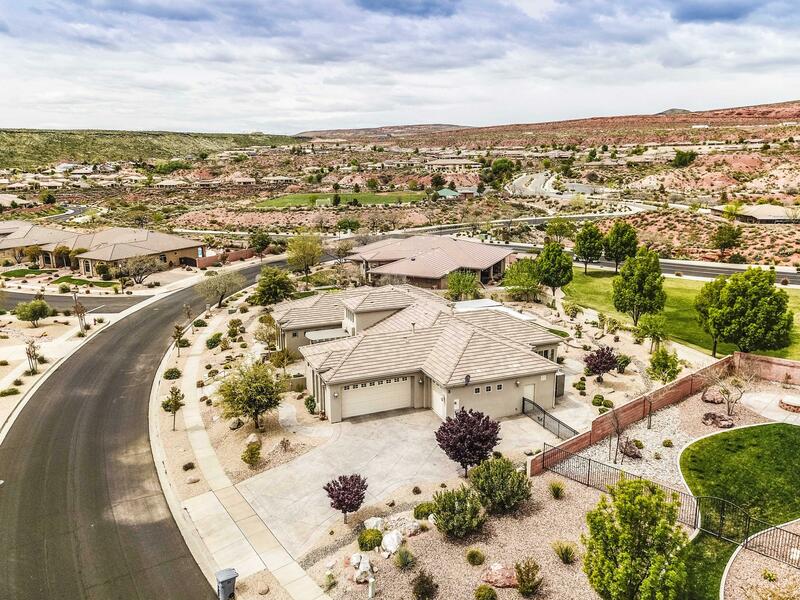 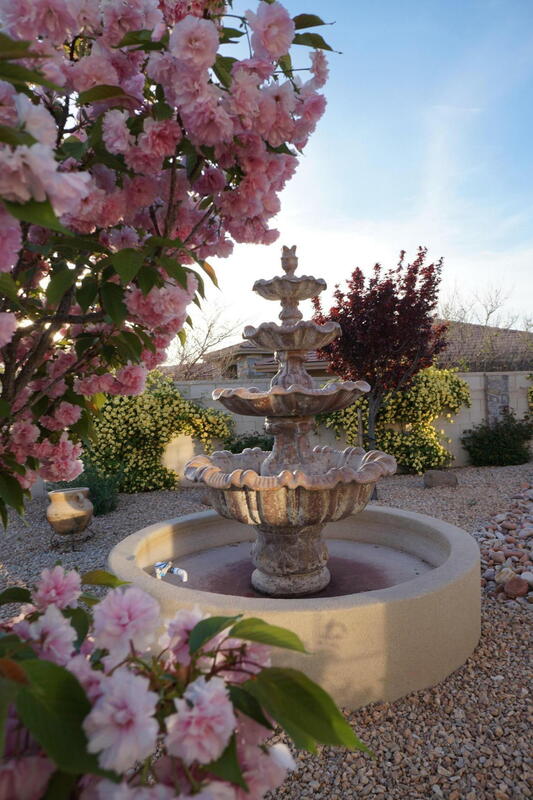 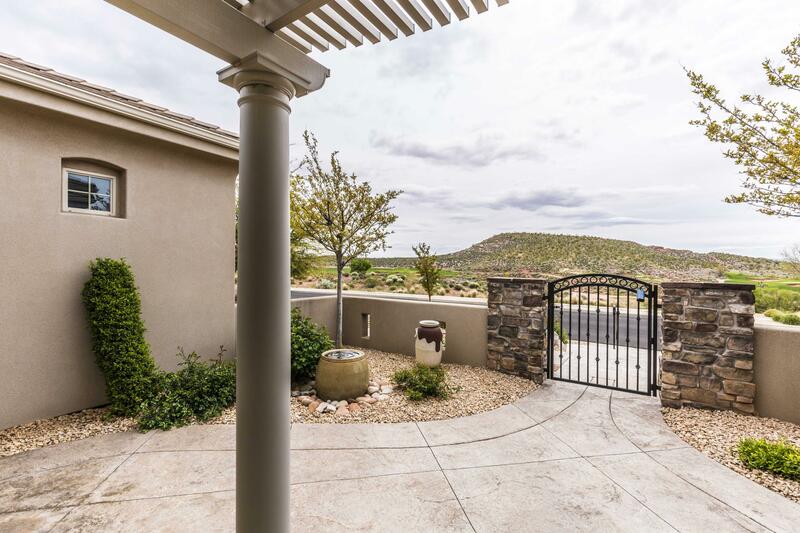 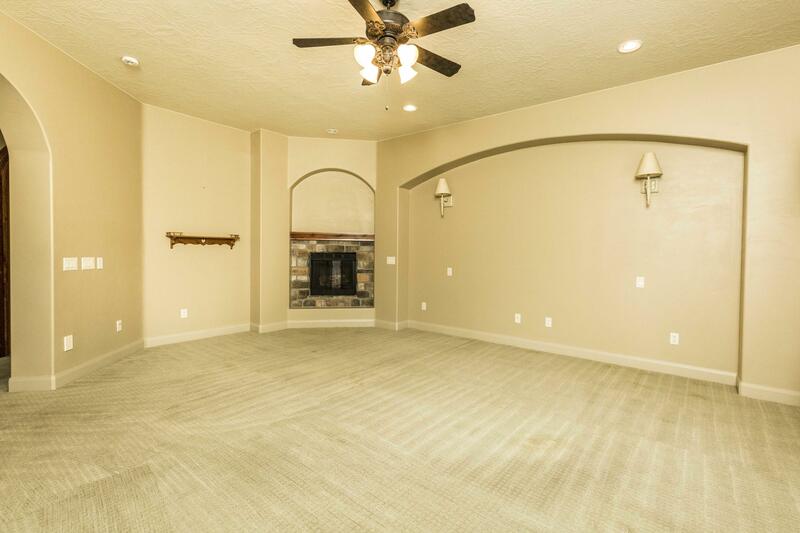 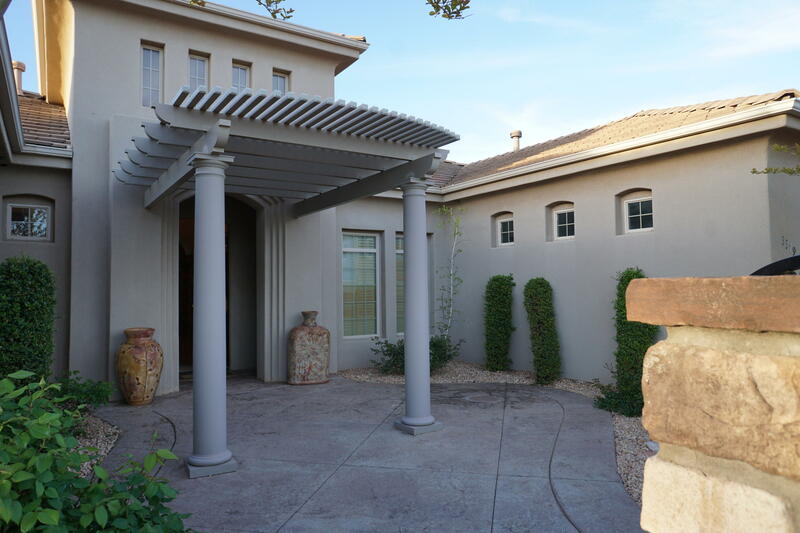 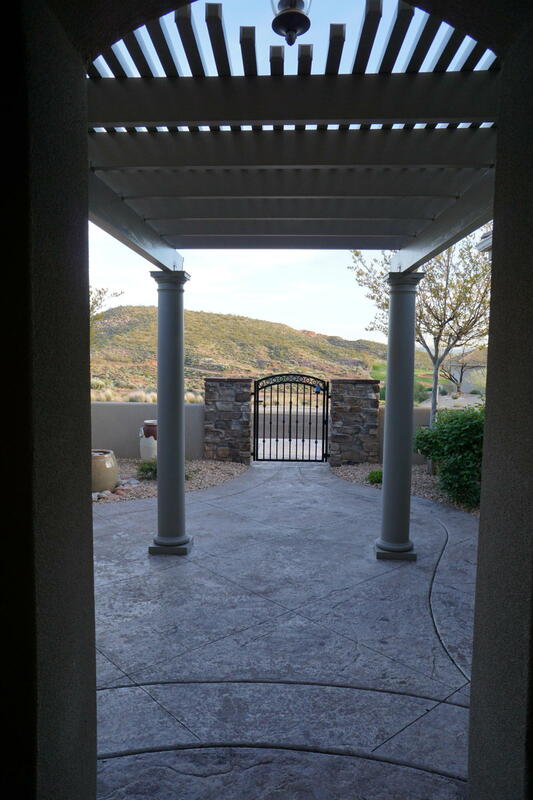 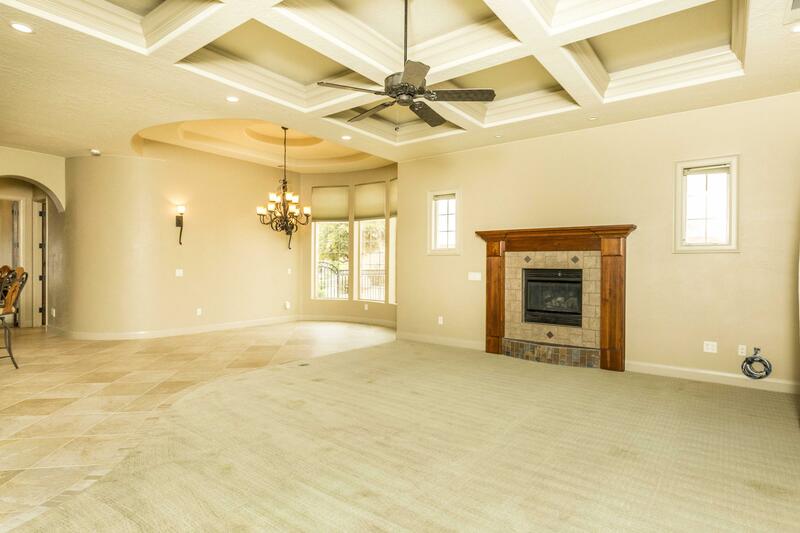 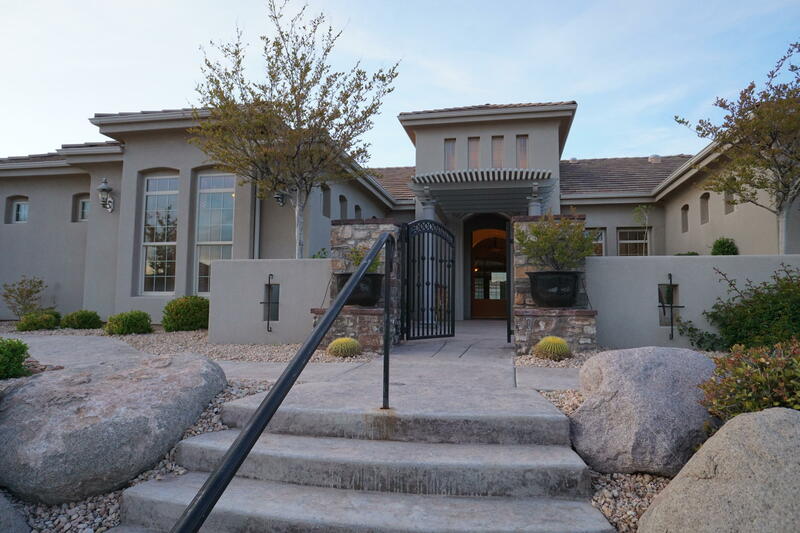 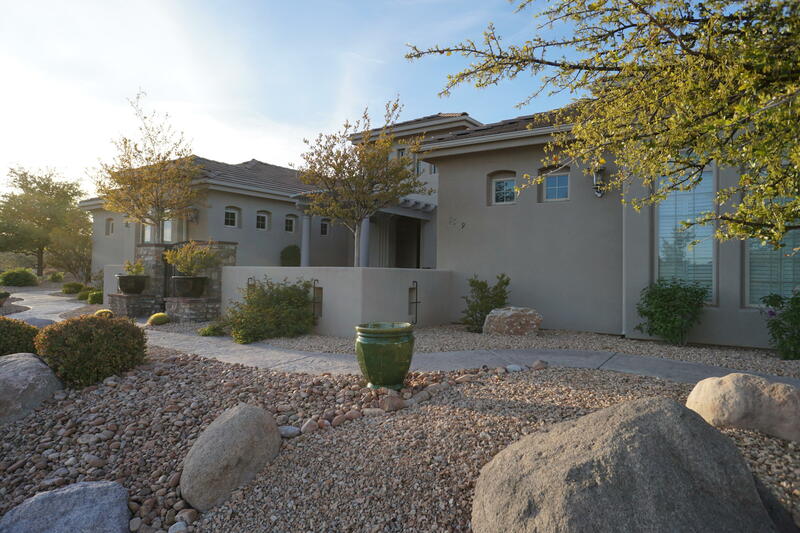 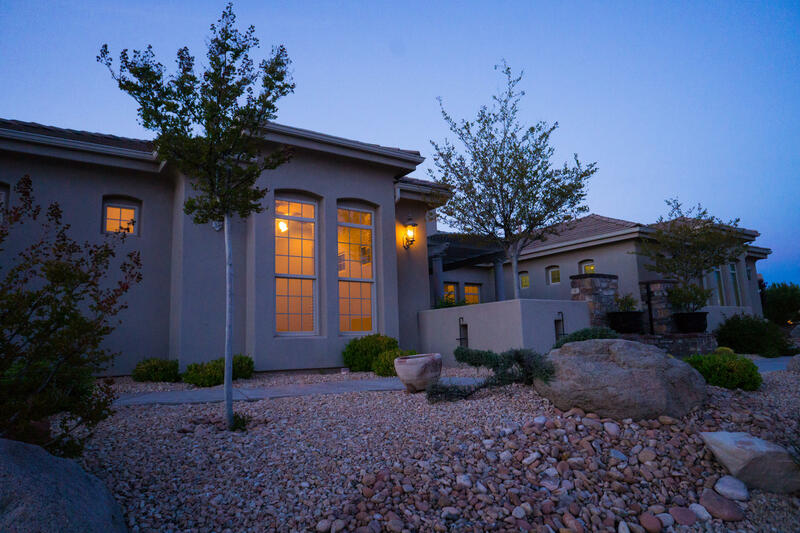 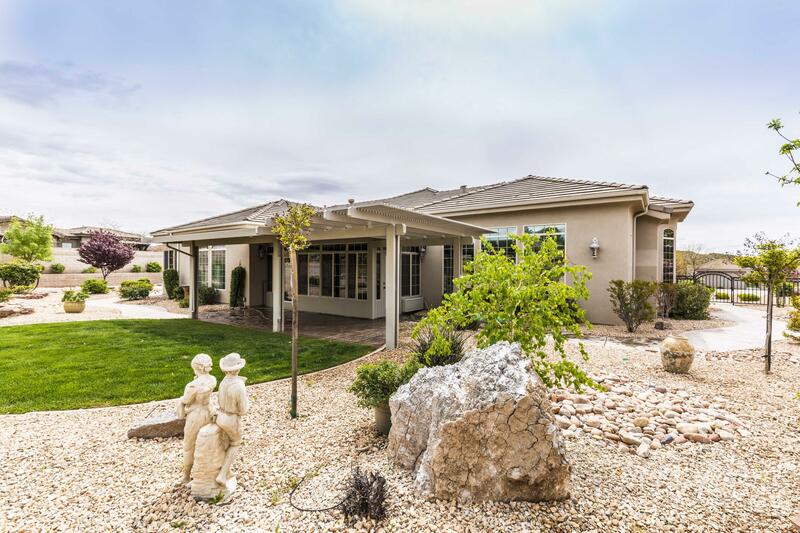 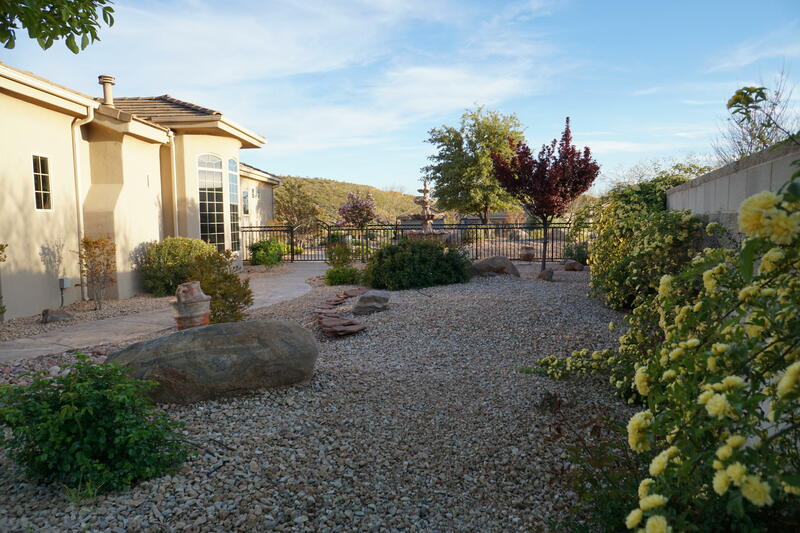 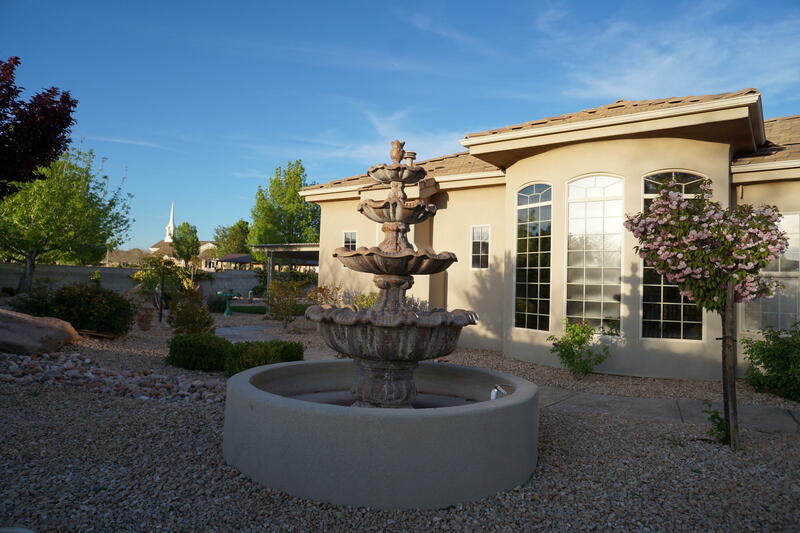 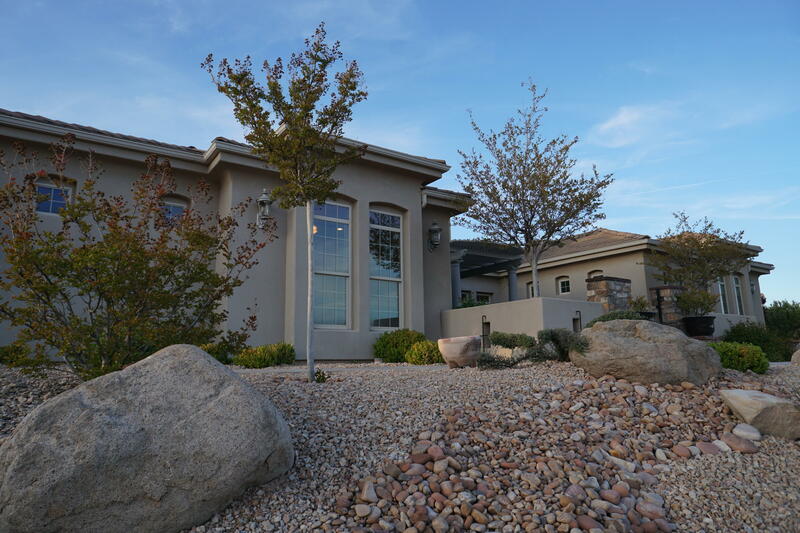 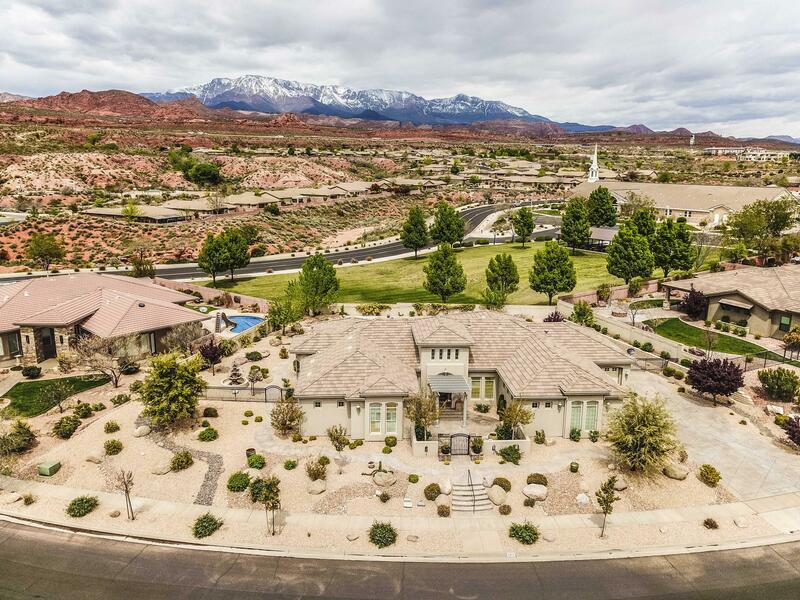 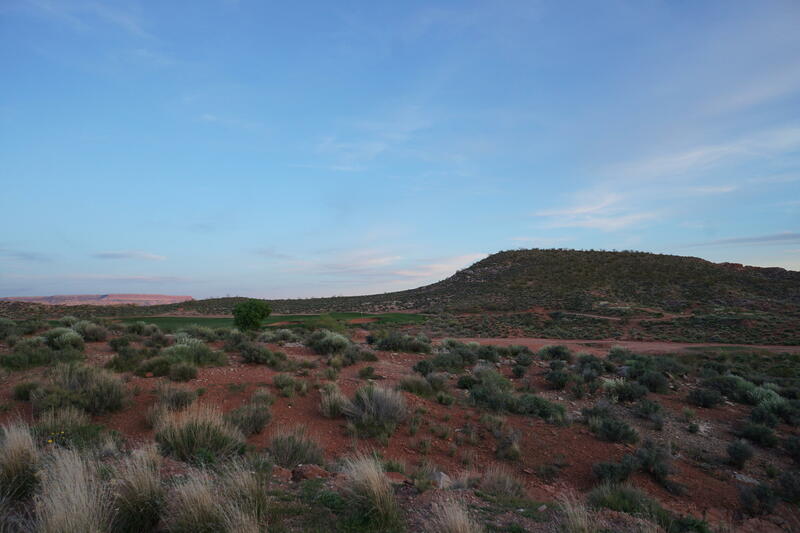 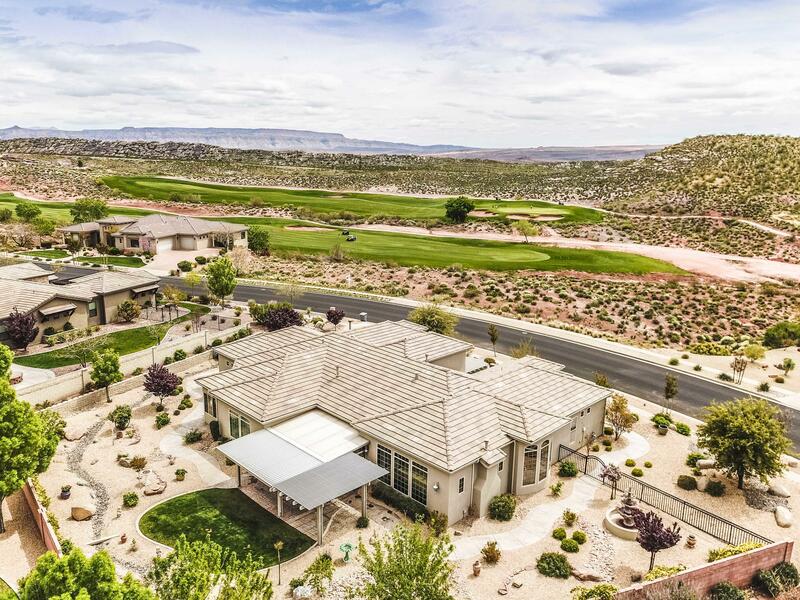 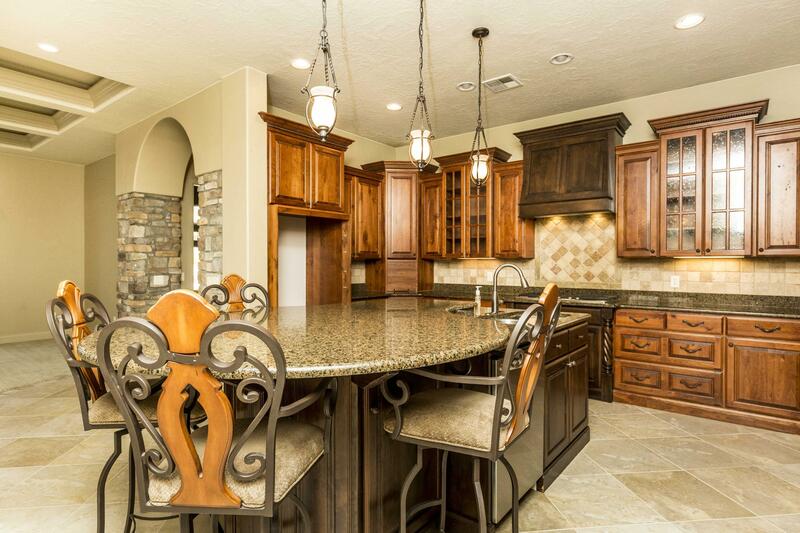 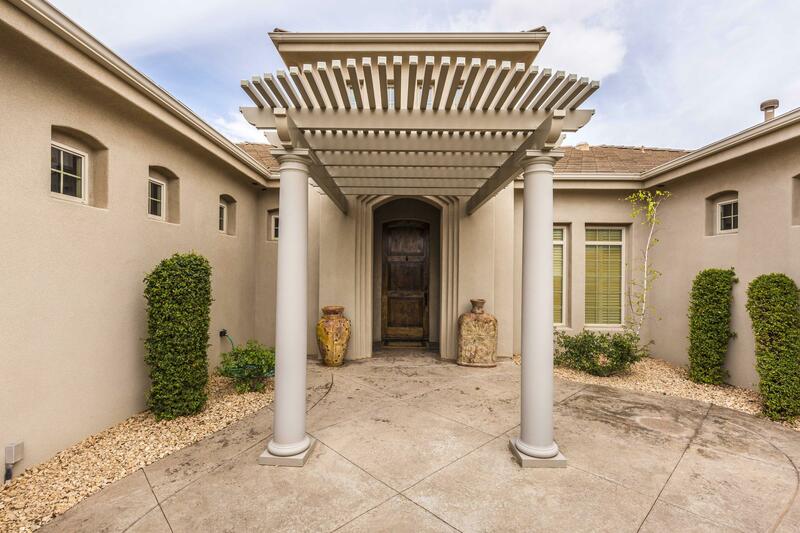 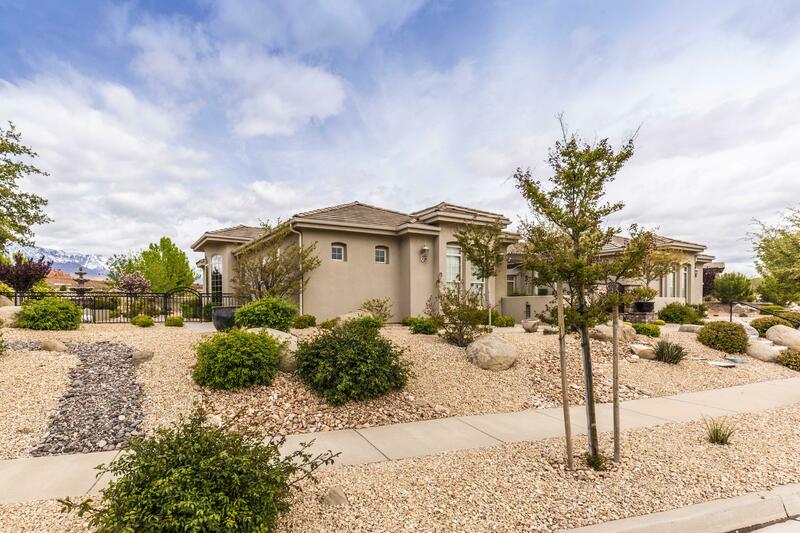 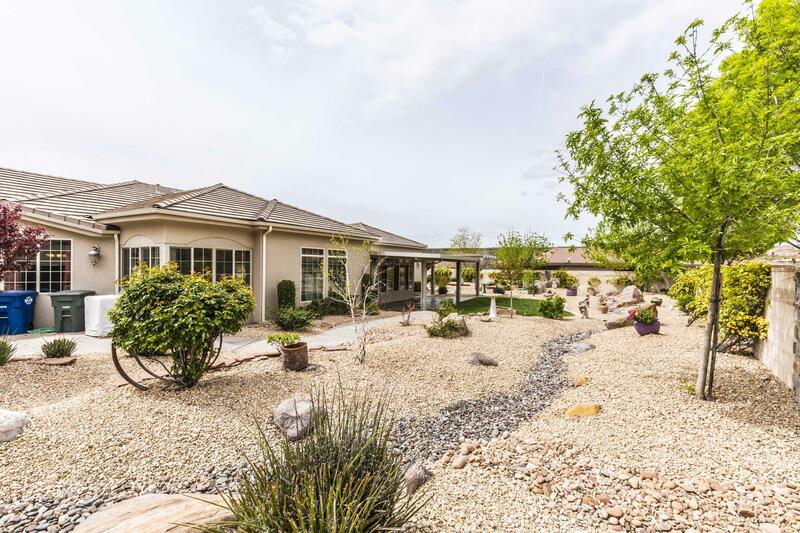 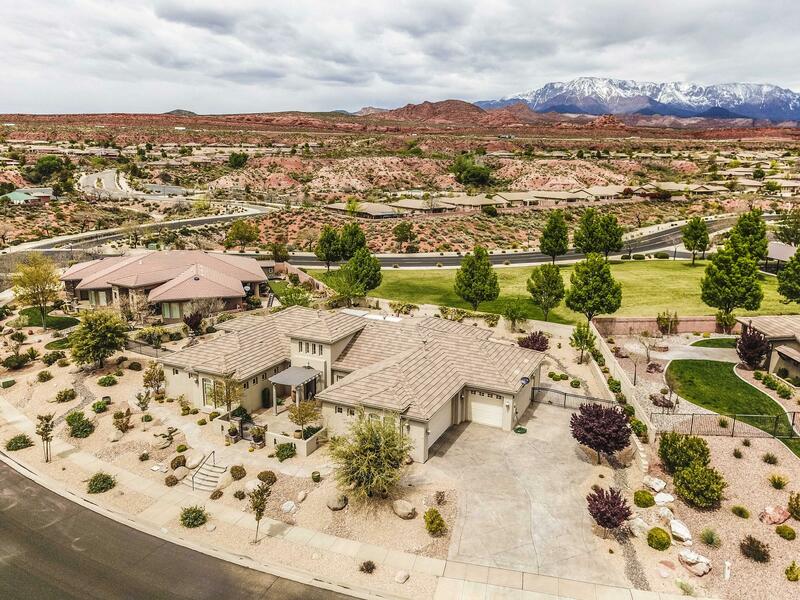 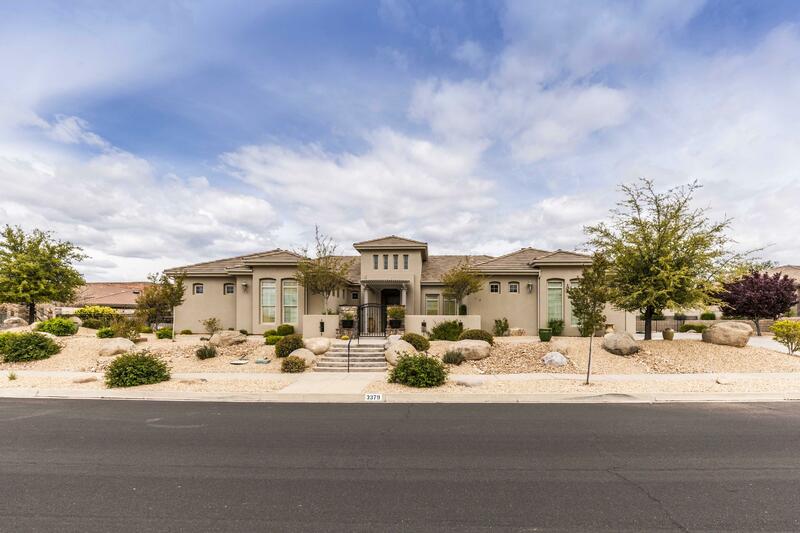 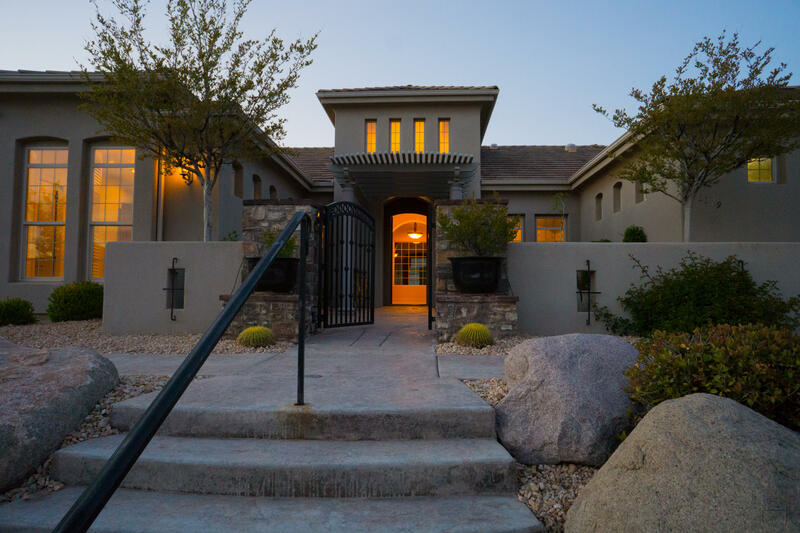 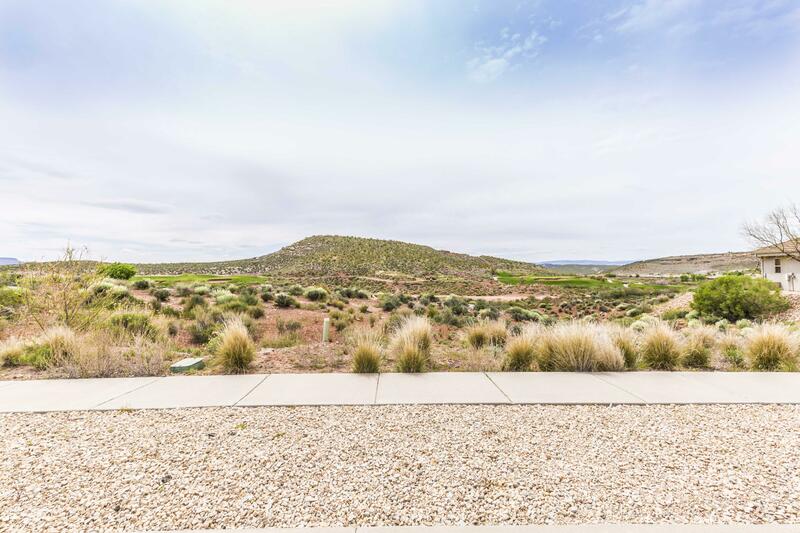 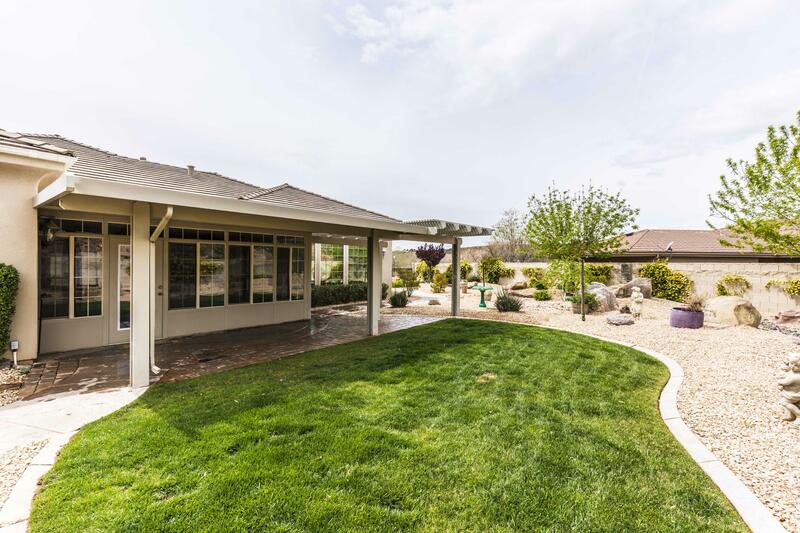 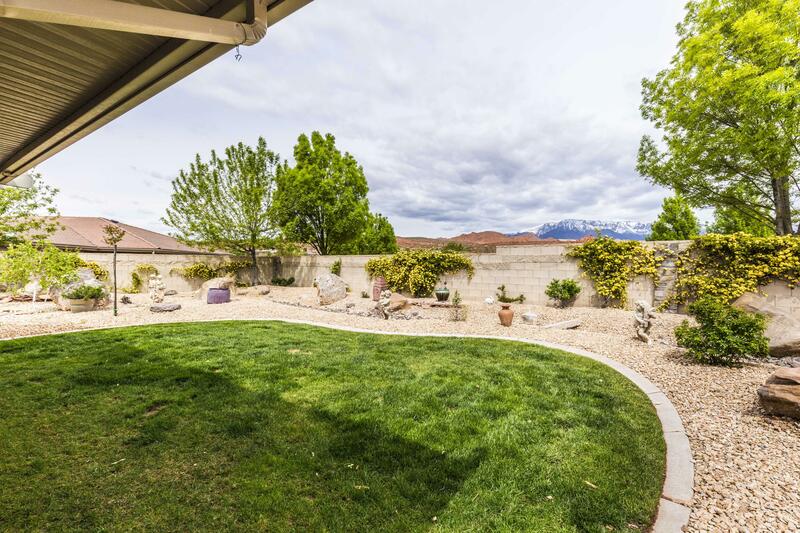 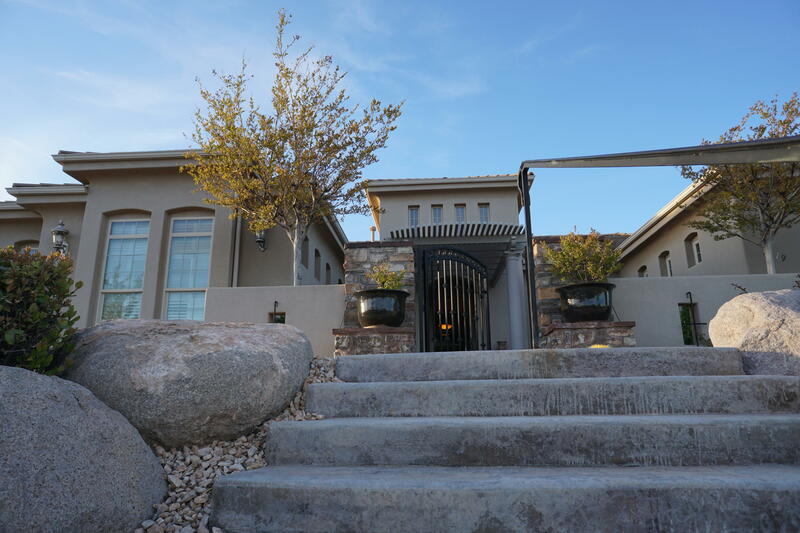 Make this elegant golf course community home your sanctuary for Southern Utah fun and adventure! 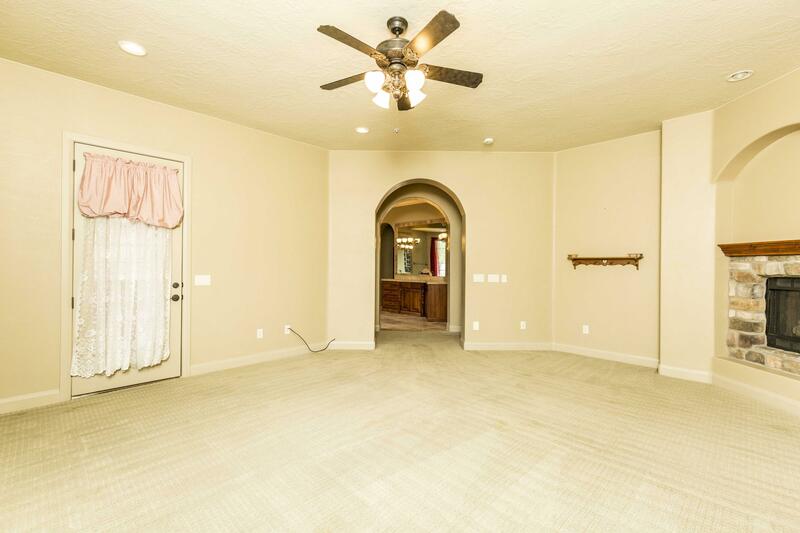 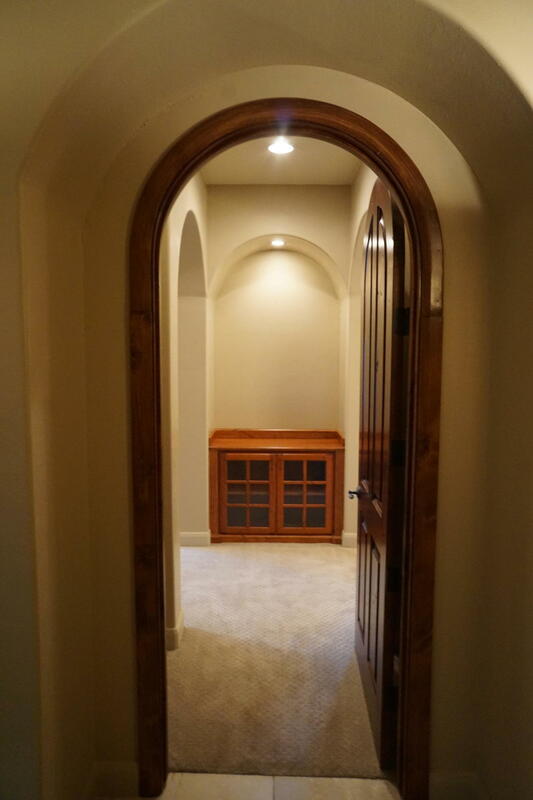 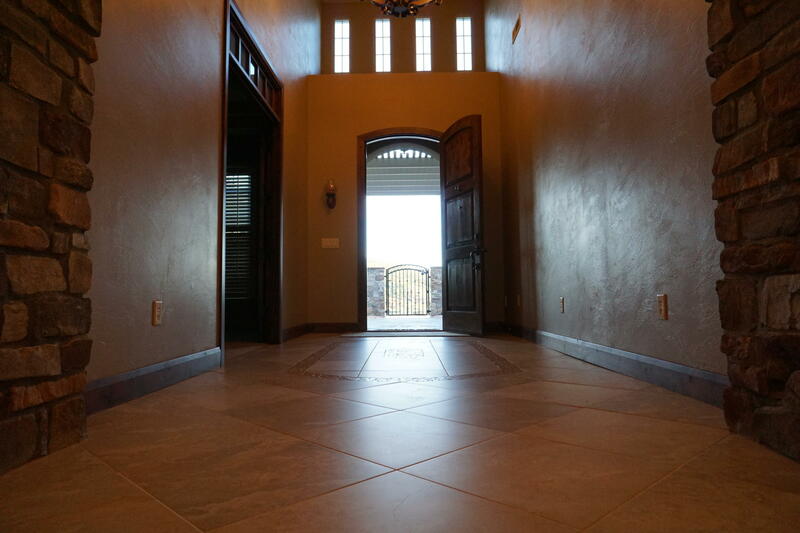 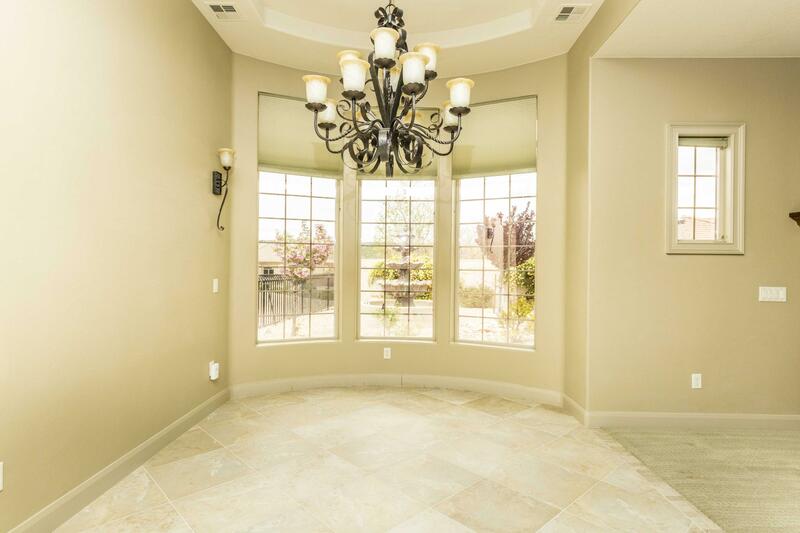 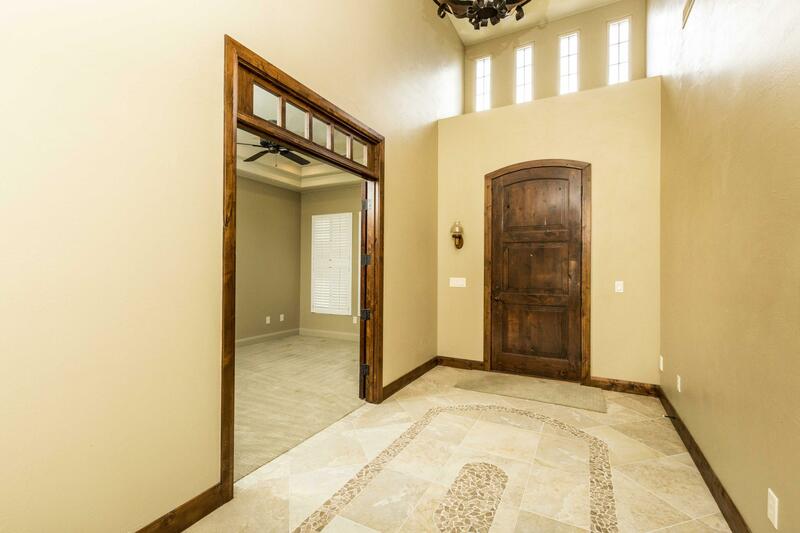 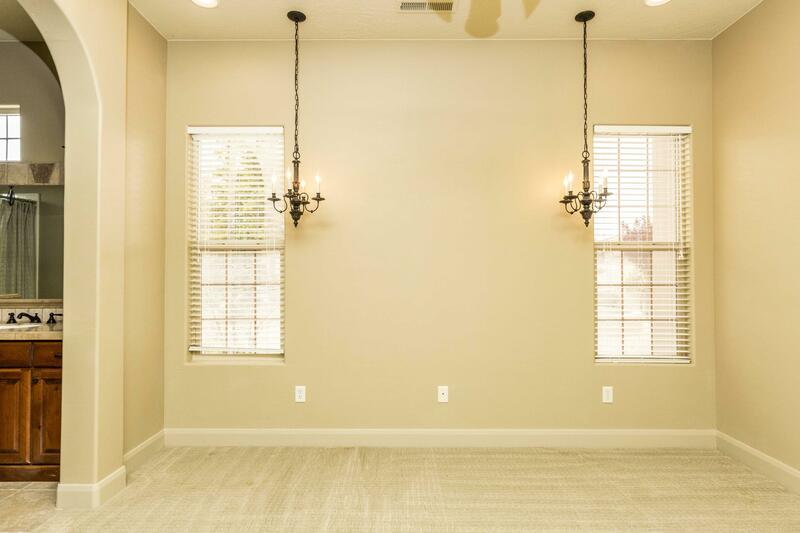 You and your guests will be welcomed warmly by the grand entryway. 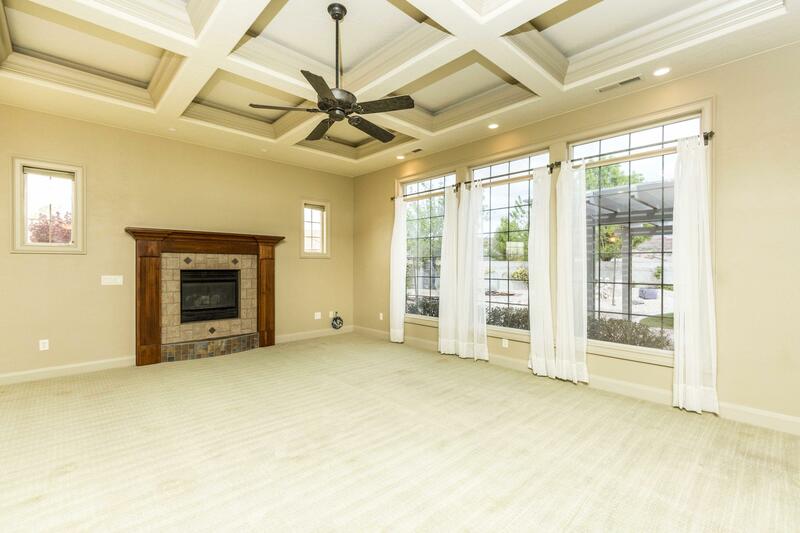 The large great room and kitchen; open up to one of the two enclosed sun rooms and are perfect for hosting spectacular get togethers. 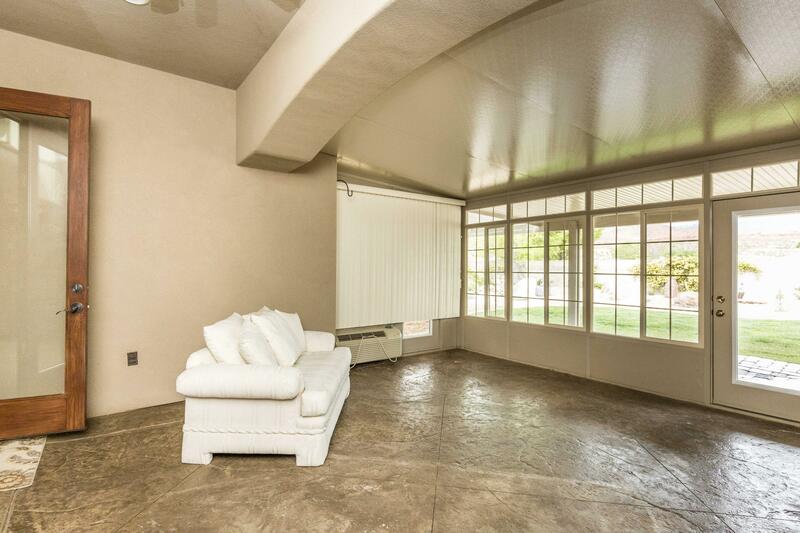 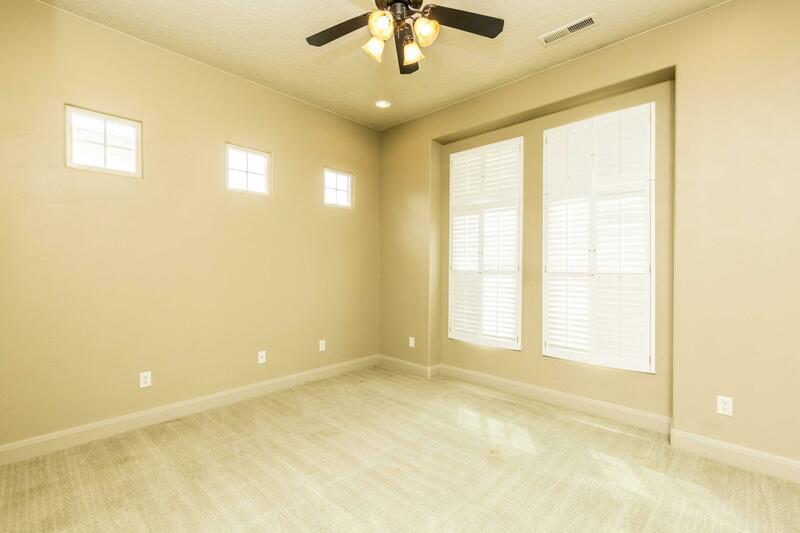 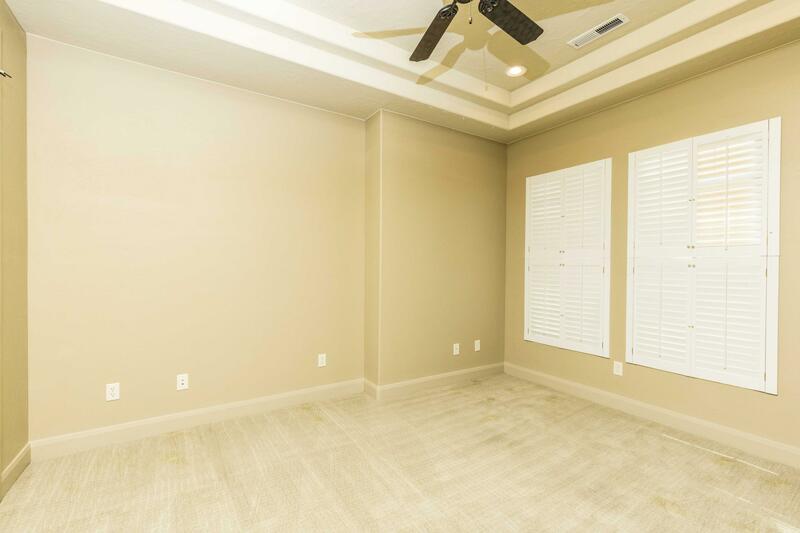 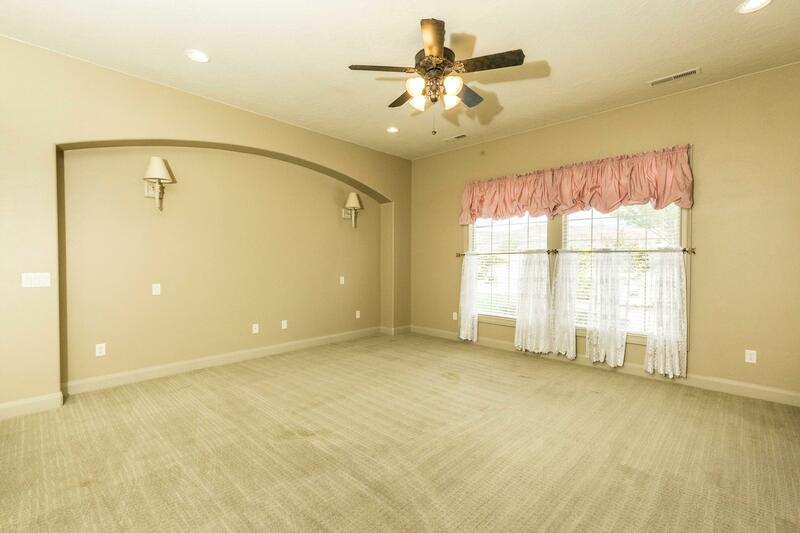 After the party, relax in the master bedroom with a cozy fireplace and its own enclosed sunroom. 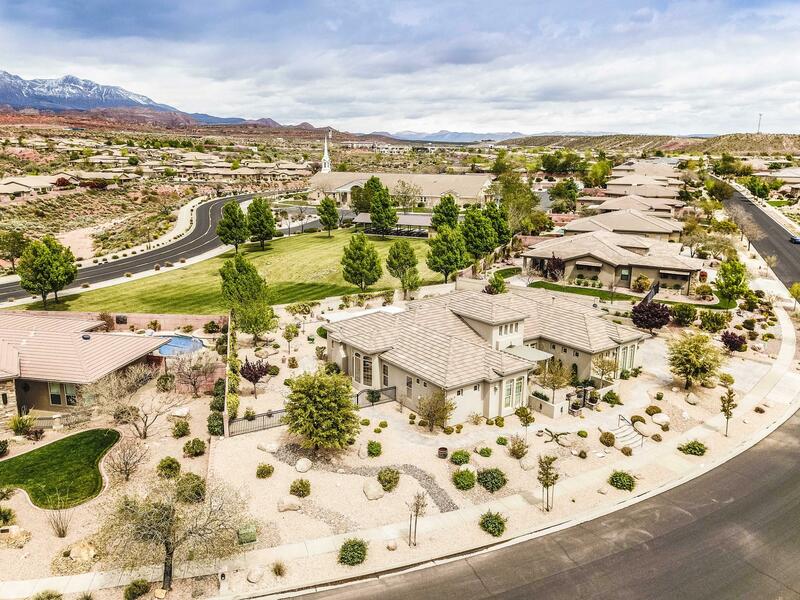 Directions: Crimson Fairway drive is the last road before you turn into Coral Canyon golf club. 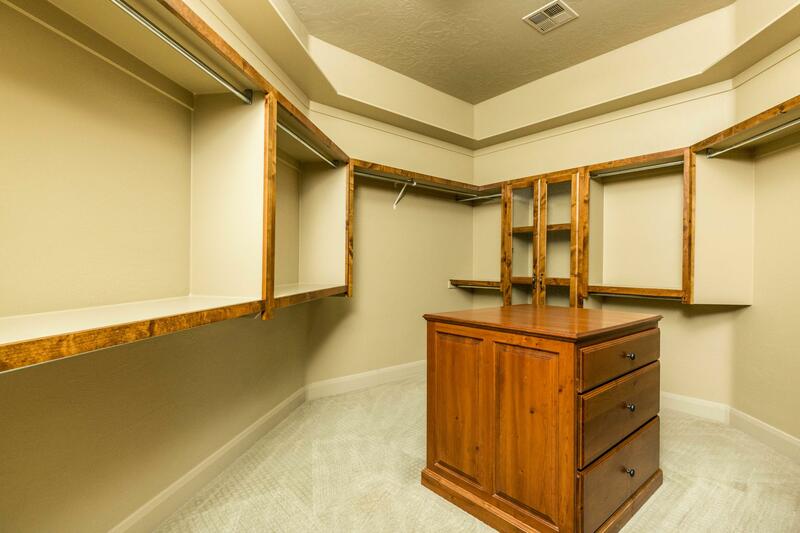 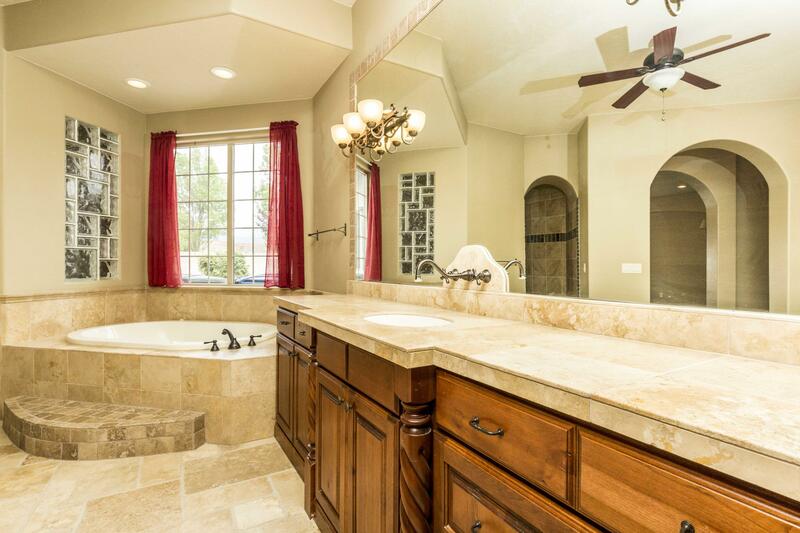 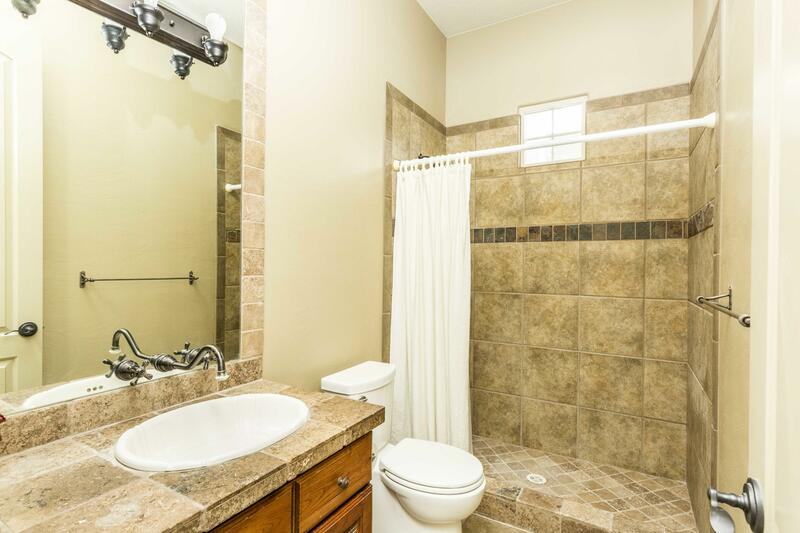 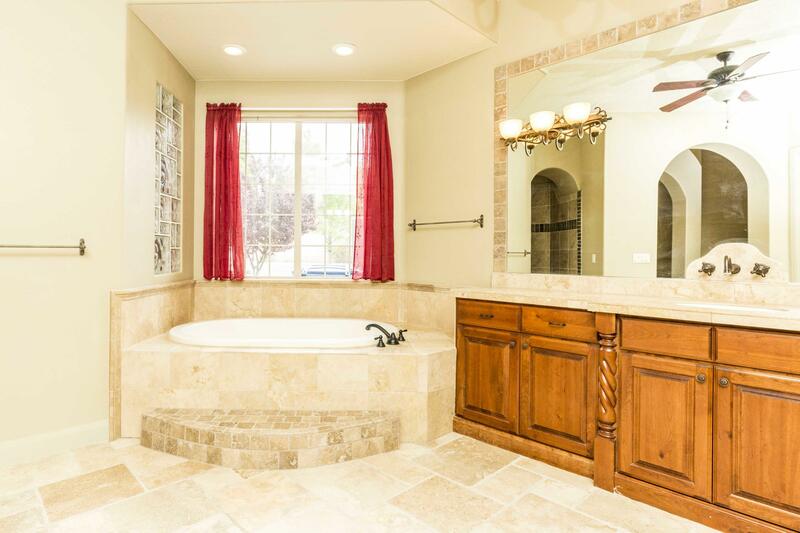 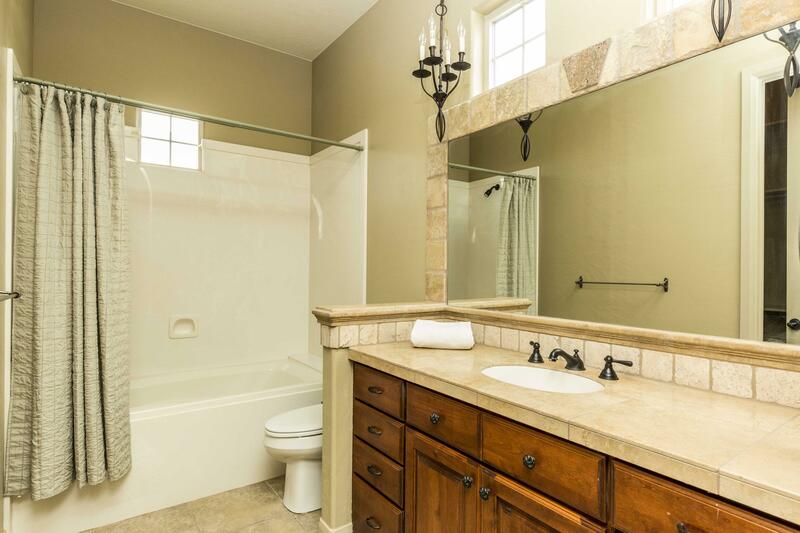 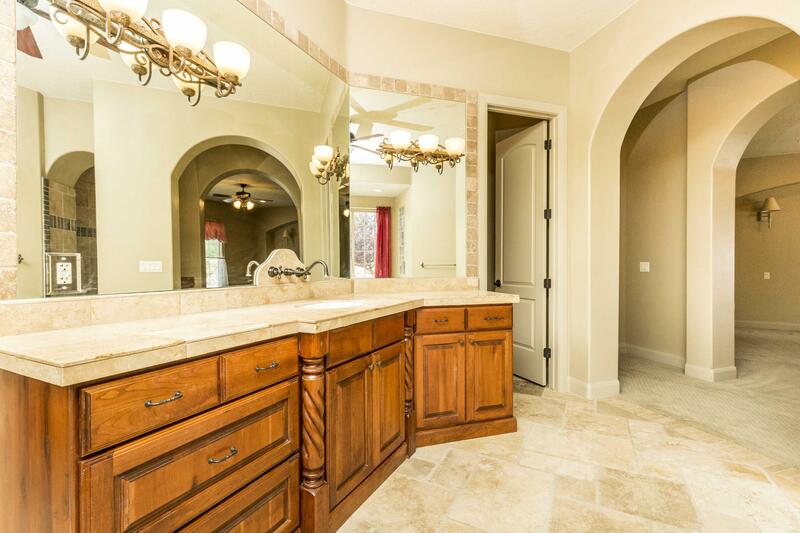 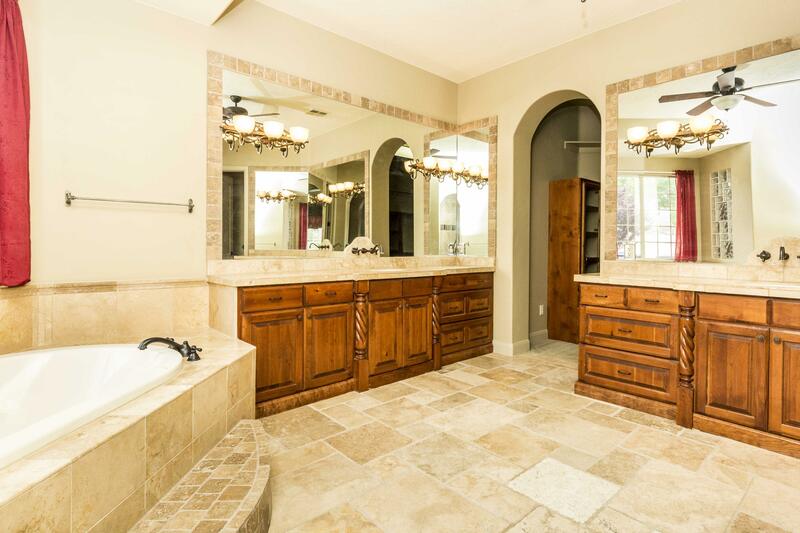 The master bathroom and closet have been upgraded to envelope you in luxury. 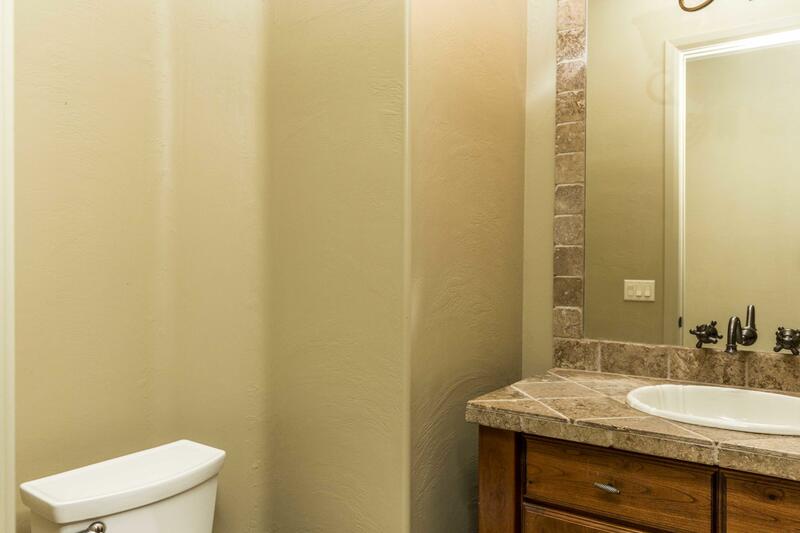 Each bedroom has its own bathroom. 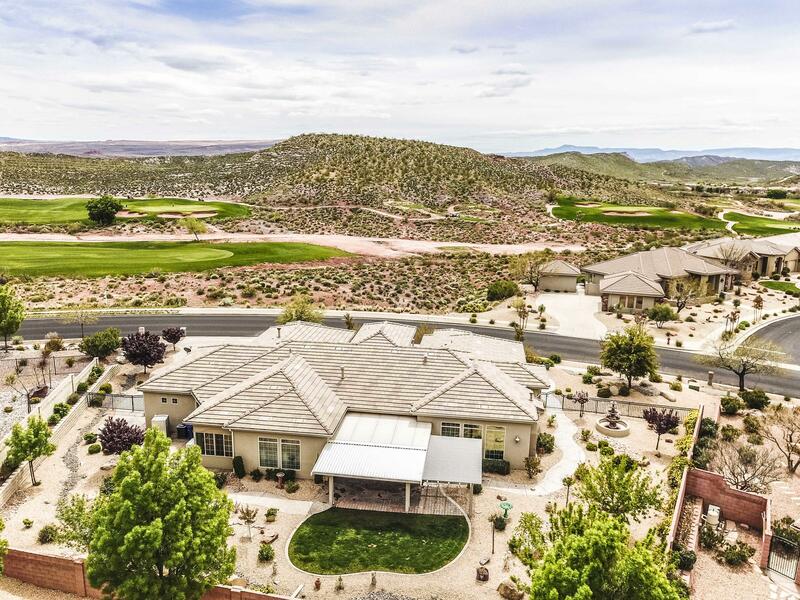 Don't miss the incredible views of the Coral Canyon golf course from the courtyard and Pine Mountain from the patio. 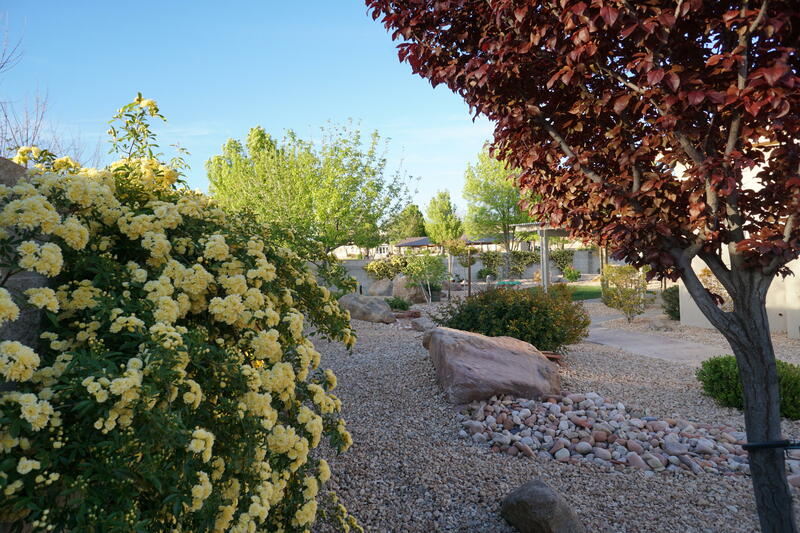 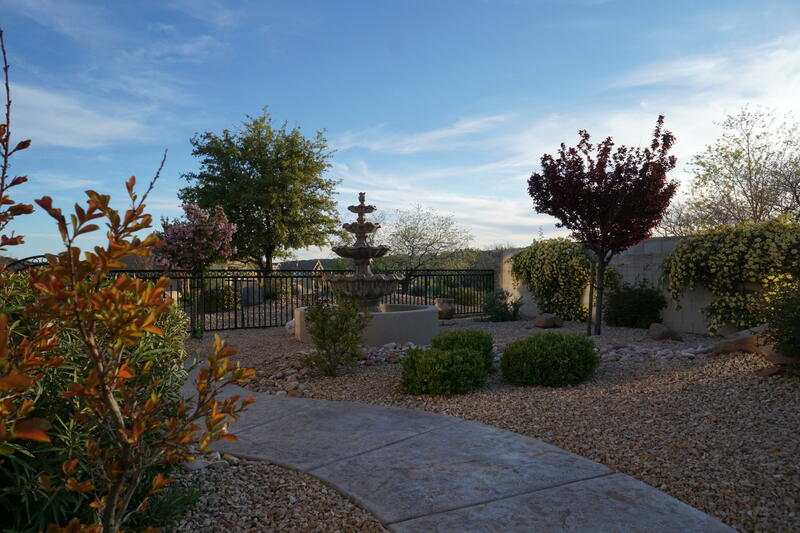 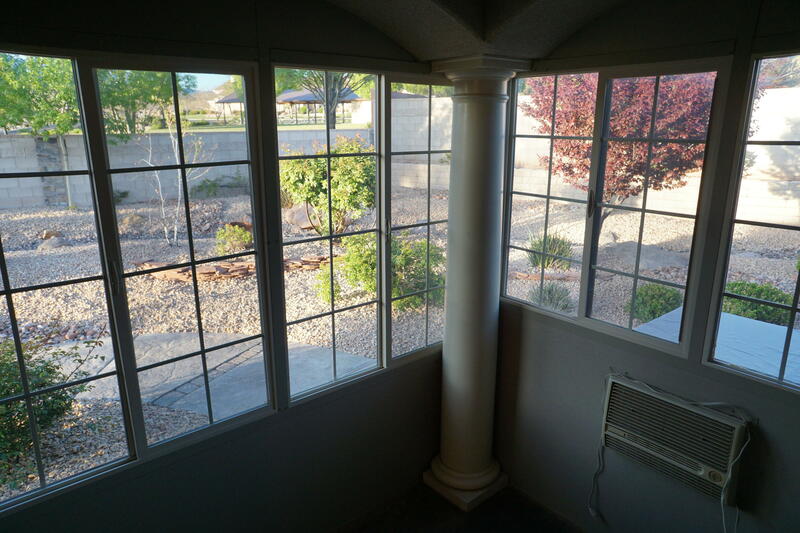 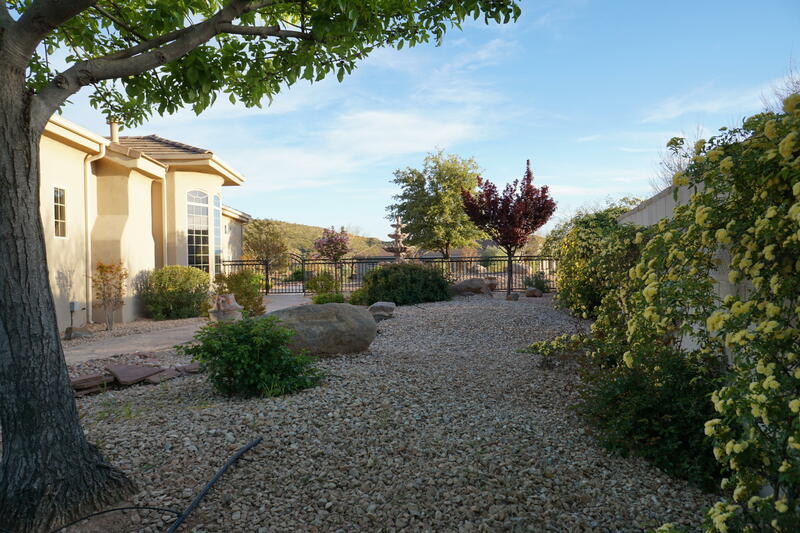 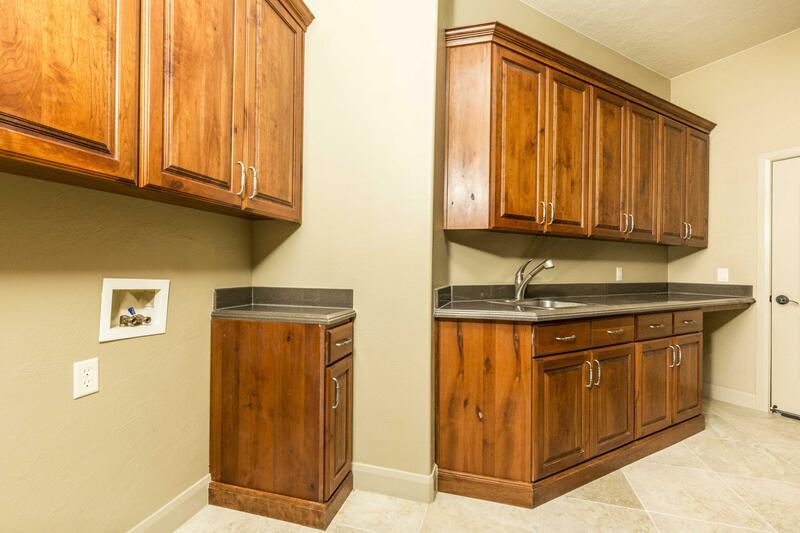 This quiet neighborhood boasts amazing amenities and low HOA fees!